Oh... I played on the Wii... Still, a remaster on current gen consoles would still be cool. i would give it a few more years. honestly, i think acti/tfb are trying to take spyro out of a sinking ship. dont take this personally, but skylanders is kinda of dying, along with the toys to life genre. Oh I know it's dying. I just really liked Spyro's Adventure. I personally don't like any of the games after Swap Force, and I like Spyro's Adventure WAY more than Giants and Swap Force. Honestly I don't expect this petition to go anywhere, I just made it to for fun and to see how many signatures I could get. 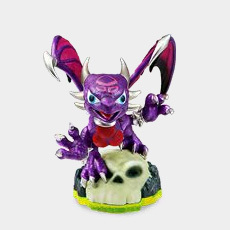 its just to early for anything new skylanders right now... but if the new spyro trilogy do good i can see a remake of skylanders spyro adventure happen. but this time there will be no figures to buy and you will start with spyro and unlock the other characters as you play. 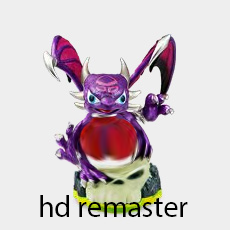 the dlc will be included and i can even see they change spyro to look like the spyro in the new spyro trilogy remake... its gonna be all good. A remake of both spyros adventure and giants would be nice.